Ton Shabu Hide is a warm and inviting shabu shabu restaurant with a lively atmosphere in central Kyoto, conveniently located nearby the popular Nishiki Market, at a 1-minute walk from the Karasuma Station and a 2-minute walk from the Shijo Station. For directions, please see the last section of this article. The warm ambiance makes it an ideal spot for enjoying great food in good company. Ton Shabu Hide is very foreigner-friendly too. The multilingual staff is accustomed to kindly serving patrons of all nationalities, so you will feel at ease there even if you don't speak a word of Japanese. The languages spoken by staff members include English, Filipino, Korean, Chinese and Taiwanese. The Awa Pork is raised on soybeans, corn and seaweed which gives it its unique taste. It's said to taste sweeter than the average pork. Awa-odori Chicken has won many prizes for its outstanding taste. It's less fat than the average chicken yet retains its high levels of umami. One of the most important elements of any shabu shabu is naturally, the soup. At Ton Shabu Hide, their special soup stock is actually produced by a sumo wrestler. In Japan, the sumo world is famously known for its amazing hot pots (most notably the "chankonabe"), and this one doesn't disappoint. The soup is made by simmering vegetables in a chicken broth for five hours, which results in a golden soup packed with savoury umami. The luxurious soup really complements and enhances the taste of the fresh ingredients you cook into it. Note that if you like spicy foods, you can also have the soup base kimchi-flavoured. Ponzu is a citrus-based sauce commonly used in Japanese cuisine. Ton Shabu Hide provides its own original ponzu to use as a dipping sauce. Once you've cooked your ingredients, dip them in this ponzu. The citrusy taste provides the perfect balance to the ingredients you've cooked in the savoury soup. If you really liked the ponzu, you can even purchase it at the restaurant for ¥750 (ponzu actually makes a great, very Japanese gift to bring back home if you are visiting). The restaurant also provides a sesame-based dipping sauce called "gomadare". 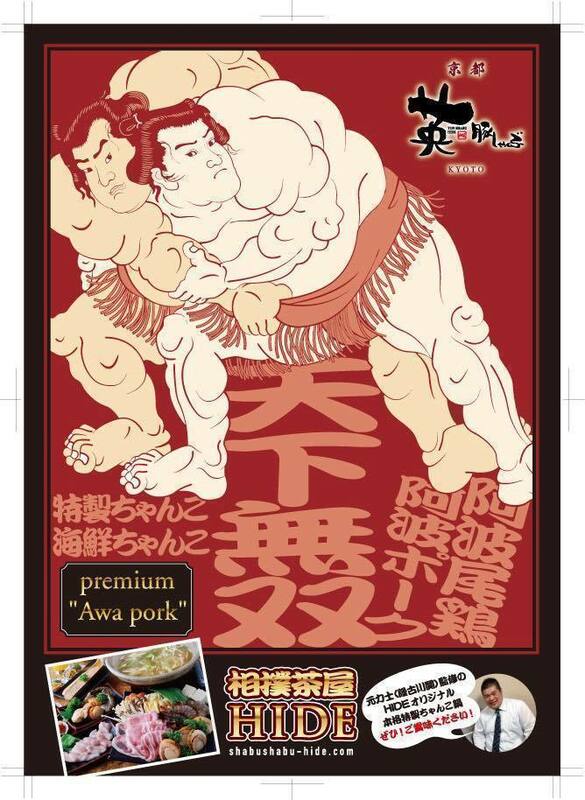 It was specifically selected to go with the Awa Pork and Awa-odori Chicken. You can alternate between the ponzu and the gomadare to give your shabu shabu a different twist. You can also sprinkle a little bit of Andean salt from Bolivia on your ingredients. The Andean salt is especially good with the meat ingredients because it brings out their original taste. Please, try it too! Alternatively, there are other kinds of sauces you can have your shabu shabu with, including soy sauce and a Thai-style sauce for instance. Just ask the staff for what you'd like to have and they'll do their best to provide you with a sauce that fits your preferences. 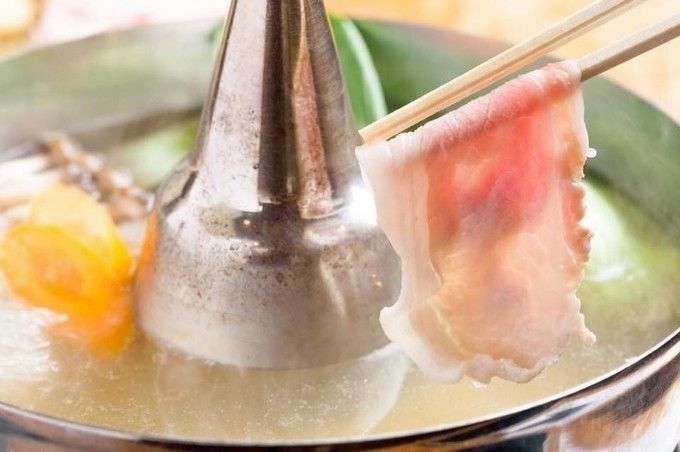 The best way to enjoy a variety of fresh ingredients in your shabu shabu is to have an all-you-can-eat course meal. We'll present the different course options below. 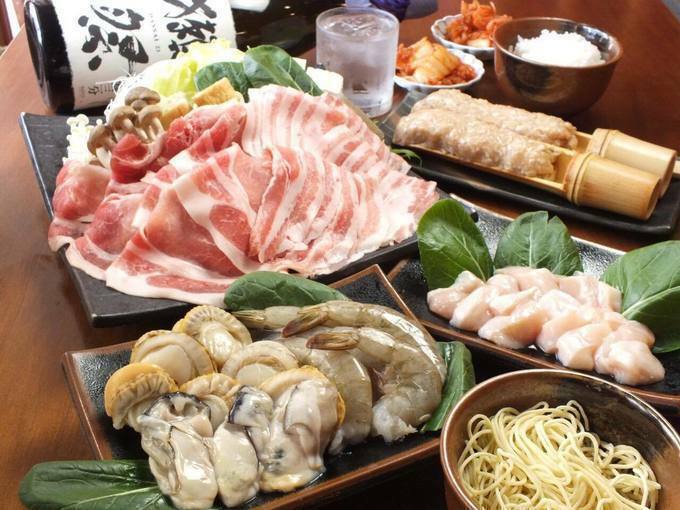 The most affordable all-you-can-eat-course is at ¥3,600. It comes with tons of fresh vegetables (kinoko and enoki mushrooms, lettuce, Chinese cabbage, bean sprouts, carrots), and also includes the exquisite Awa Pork, which is said to have the perfect balance of sweetness and savoury umami. 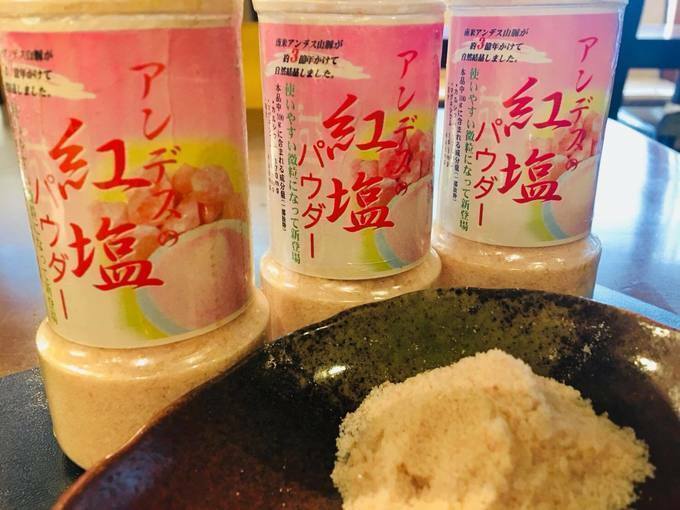 Also, in this course, you can get rice called "Kinu-musume" from Okayama Prefecture. It also includes another Tokushima Prefecture special variety of meat that is synonymous with quality: the Awa-odori Chicken. For those who want to enjoy a lighter shabu shabu, Awa-odori Chicken is the perfect meat to have. Awa-odori chicken is moderately chewy, lean and savoury. For just an additional ¥1,400 you can add an all-you-can-drink option (120 min.) to the course presented above. It's worth it because the option includes some fine quality alcohols, including Japan's famous Yebisu Beer that goes wonderfully well with shabu shabu. You might want to try some Japanese traditional alcohols as well! You can enjoy the all-you-can-drink plan, which includes sake. And you can also some great sake a la carte too! There are courses that also come with fresh seafood on top of the famous Awa Pork and Awa-odori Chicken. They start at ¥4,500 and you can add the all-you-can-drink option (210 min.) to them for an extra ¥1,500. You can also order shrimps (¥100), oysters (¥200) and scallops (¥150) separately too. The Okayama Prefecture-produced rice served here is really nice. It's a special variety called Kinu-musume, which is large-grained, whiter than average, particularly glossy, and moderately sticky. As a side dish, you can even order ramen! You can really taste the natural sweetness of the meat in the broth. Noodles are thin egg noodles. Ramen lovers drink it to the last drop. *This photo is for illustrative purposes. There's no better way to finish your shabu shabu feast than with the desserts included in the courses. Free Extra Dessert For A Social Media Post! 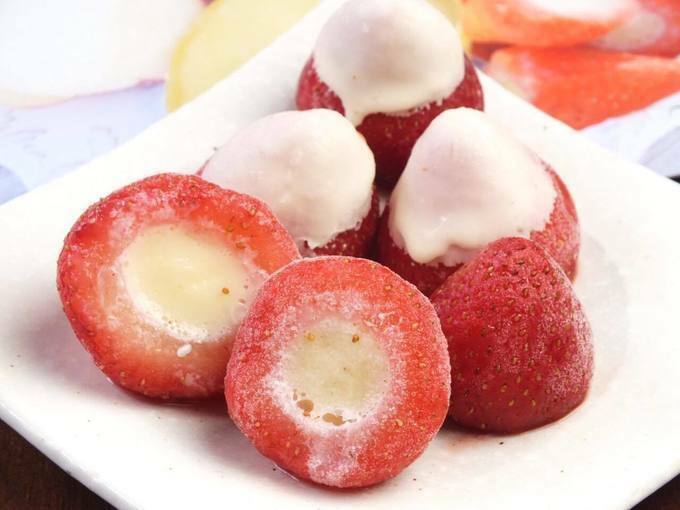 Also, you’ll get as a present a strawberry dessert if you post a comment on social media. You've got to try this one! It's quick and easy! You can get one dessert for each person who makes a post. For a superb shabu shabu evening in beautiful Kyoto, Ton Shabu Hide is a place you ought to go to. The restaurant can accommodate large groups, and they even have projectors for special events. From Karasuma station exit 15, simply turn right when you exit and immediately right again on the small street. Walk down that street for about one minute and you should see Ton Shabu Hide on your left, on the second floor of this building. Walk up the stairs with a yellow lantern and get prepared for an amazing shabu shabu experience!